Your party will be the most memorable event of the year with the addition of some amazing magic! Modern day Close Up Magicians have a whole armoury of tricks up their sleeve and all of them are perfect for party fun. A Close Up Magician will have the skills and experience to work their way through a cocktail crowd or mix amongst wedding guests - and will keep everyone guessing as to their next magical trick. They have great people skills and will quickly pick up who loves being the centre of attention in your group - which means those who are a little shy can relax completely and just enjoy the show. Everyone loves to be bewitched - and everyone can enjoy watching your guests as the magic happens before their eyes - it's crazy, inexplicable and completely entrancing - entertainment doesn't get any better! Find a Close-up Magician for hire near you in minutes! Option 1. Enter your event location below & contact a Close-up Magician directly! Option 2. Request multiple quotes from available Close-up Magicians Get Quotes! Option 3. Read information & advice on hiring Close-up Magicians Read Advice! WANT TO KNOW MORE ABOUT CloSe up magicians? Read on for the most comprehensive guide to booking a Close Up Magician, including how much it costs, exactly what they will do at your event, plus tips, advice and information to help make your event one to remember! A Close-up Magician will perform stunningly astonishing professional trickery right in front of your very eyes! What exactly will a close up magician do at your event? When you hire a Close-up Magician, they will bedazzle you with close-up card tricks, impossible coin tricks, and mind-reading abilities that would even dumfound the magic circle themselves! A Close-up Magician will perform contemporary illusions in front of your very eyes using acquired items such as the objects on your table! There won’t be any smoke or mirrors, no effects that you may associate with the magic shows on television, and no stage curtains to hide behind! This is real magic that has got to be seen to be believed. A Close-Up Magician is also known as a Walkabout Magician, a Table Magician, a Micro-Magician and many more names as well! They will entice your family, friends and work-colleagues with a mixture of close-up magic, comedy, mind-reading and showmanship that is rarely seen in other forms of entertainment. You will undoubtedly get value for your money! You may find that some Micro-Magic contains some pick-pocketing! But don’t despair! Your items will be returned almost instantly and you will be astonished at how they were even taken! Mainly, a Close-up Magician will entertain your audience with a fantastic live show that will put the wow factor into celebrations and impress your guests, whatever their entertainment tastes may be. What event types are close up magicians hired for? What better way to entertain your guests as the newlyweds are kept busy with photo’s and what not! By hiring a Magician for a wedding, you will have an entertainer that makes the crowd roar with laugher and gasp at genuinely awe-inspiring magic! Hire a Magician to thrill your friends and family and they won’t be disappointed! You might be thinking of booking some table-top magic to charm your wedding guests with? A Close-Up Magician is ideal for the entertainment at a wedding evening reception because they will engage your guests one by one, any everybody will get their turn to be involved in some real magic! Close-Up Magic is appealing to children and adults alike so it is perfect for family entertainment. Want the perfect ice-breaker at your corporate event? A Close-Up Magician’s tricks will have the crowd talking long after the trick has finished! The audience will be engrossed in the stunt and will enjoy discussing how the magician did it! A Close-Up Magician is suitable for corporate events such as team building exercises where they will help your colleagues to bond with sensational, modern magic. Have you ever thought about hiring a Close-Up Magician for your trade show? A Close-Up Magician will be a dab hand at being a showman/show-woman so they will involve potential passing clients with ease by using participating, sleight of hand magic! The benefits of booking a Close-Up Magician at your product launch can also be extremely effective as they involve your customers in a relaxed yet spellbinding show. The Close-Up Magicians that are signed up to Entertainersworldwide.com will have years of experience when it comes to putting on a show infront of big crowds! 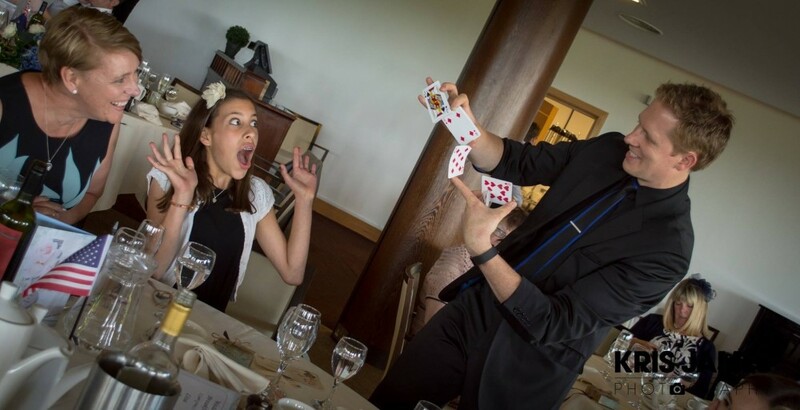 Booking a Close-Up Magician is the trick up your sleeve that you might need for your charity event! A great idea if you want to get the contributors to dig deep! Whether it’s an anniversary, a birthday, a christening or a student party, a Close-Up Magician will do the trick! The Close-Up Magician will mix and mingle and go from table to table seemingly turning one object into another, making things disappear and reappear and showing you brand new tricks that you will not have seen before! Looking for ideas to make your Hen-Do or Stage-Do extra special? A Close-Up Magician is the answer! Wow your friends and family with tricks that will blow your mind as you sip on your cocktails and champagne and celebrate your special evening. How much do close up magicians cost to hire? Our simple to use entertainment directory allows you to firstly search for the best Close Up Magicians who are local (or travel to your area) and then via the contact form you may message them directly to enquire for a no obligation quote to perform at your event. Some acts will also add a rough price guide to their profile for your convenience. What are the usual set formats and performance lengths for close up magicians? Magicians can tailor their performance to times to suit you and your event, however, on average a professional Magician will perform for two hours. How much space will a close up magician need at your event? The great thing about Close-Up Magicians is that they will not need a stage. They are designed to mix and mingle and to go from table to table so they won’t need a massive space. What equipment and set up requirements do close up magicians need? want to enquire if an artist needs a PA to amplify their sound, in which case we would advise to use our easy to use messaging service to find out. We do ask that each performer gets a backstage area in which they can prepare for the performance ahead. If your venue does not have a backstage area, then we kindly ask that you enquire with the venue to seek an alternative space in which the performer can comfortably get ready to entertain. 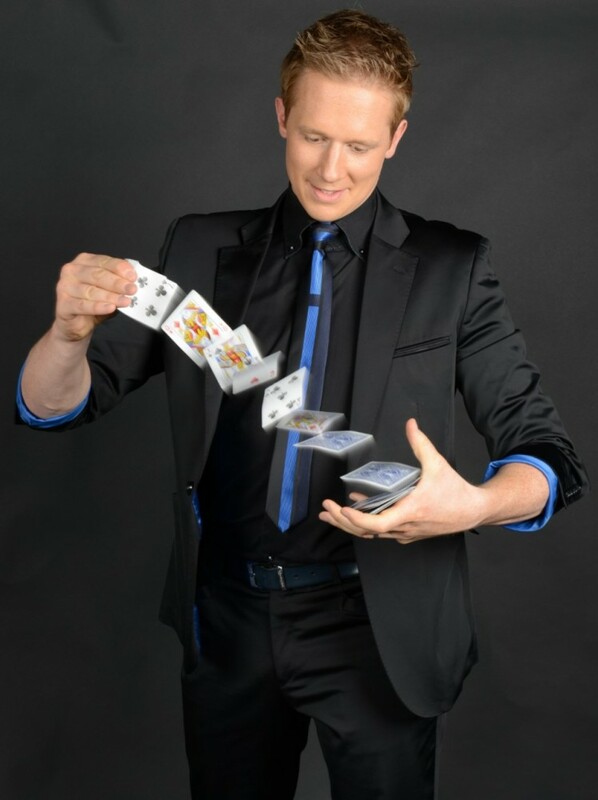 How can you find and book a close up magician with Entertainersworldwide.com? WANT TO RECEIVE A RANGE OF QUOTES FROM Close-up Magicians?